In the video, you get to find out about some tips you need to know prior to installing Tankless Water Heaters. When I first started reading about tankless water heaters, I have to admit I wasn’t that impressed. This was a couple years ago. I thought they were too expensive and an unnecessary upgrade, for an older home anyway. For a new construction home, sure, sounds like a plan. Yet the more I read about them, the more I like them. They might not be a fit for every home or every wallet, but they are a good solution. 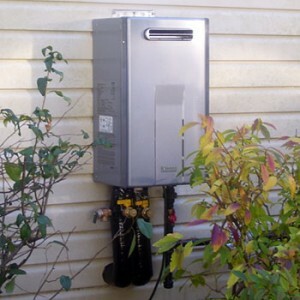 The tankless systems comes with many advantages, and they are efficient. They save you money little by little. It it time to upgrade the water heater?